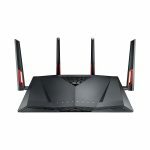 The D-Link AC3200 and the Asus RT-AC88U are both routers that will help you get improved WiFi signal in your home or small office. Both models are around the same price and have similar features, so which one is better? We have made a list of the main features of both the D-Link AC3200 and the Asus RT-AC88U to see which router we think is the best of the two. The D-Link AC3200 is a tri-band router that can give you speeds of up to 600 Mbps at 2.4 GHz and up to 1,300 Mbps on the dual 5 GHz band. 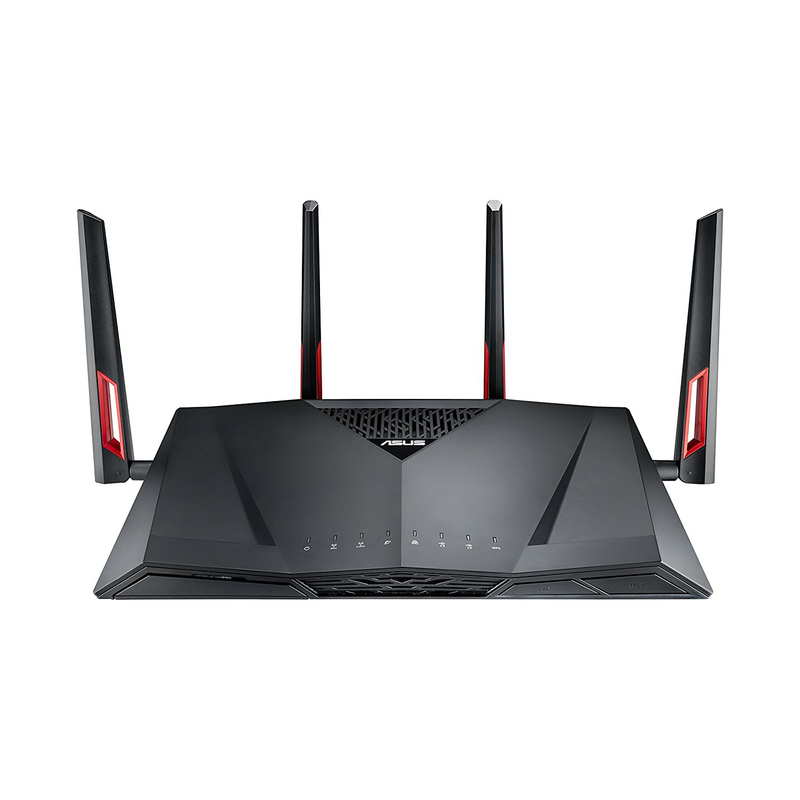 The Asus RT-AC88U is a dual band router that can offer you speeds of up to 1,000 Mbps at 2.4 GHz and up to 2,100 Mbps at 5 GHz. The D-Link AC3200 features a 1 GHz dual core processor for fast handling of large amounts of data. The Asus RT-AC88U has a 1.4 GHz dual core processor, meaning faster transfers. Both the D-Link AC3200 and the Asus RT-AC88U have Smart Connect technology that automatically finds and chooses the best connection for each of your devices, switching between the bands as the device’s requirements change. The Asus RT-AC88U is designed to amplify your gaming experience and benefits from having WTFast technology that speeds up gaming packets and lowers ping times by giving you access to the Gamers Private Network. The Asus RT-AC88U also has MU-MIMO technology that assign each of your compatible devices to its own connection, meaning it won’t slow down the network for multiple users. Both the routers can be managed from an app, allowing you more control over what devices are connected to your network and letting you manage your own security settings. The Asus RT-AC88U benefits from AiProtection that will block malicious sites and prevent your personal data from being transmitted from any infected devices. With both routers you can set up individual user accounts and set restrictions for each user, letting you stay in control of what your children can access through your network. 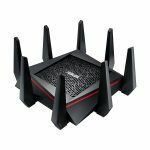 Both routers have QoS technology that prioritizes your devices that require a higher bandwidth, for example when gaming or streaming. 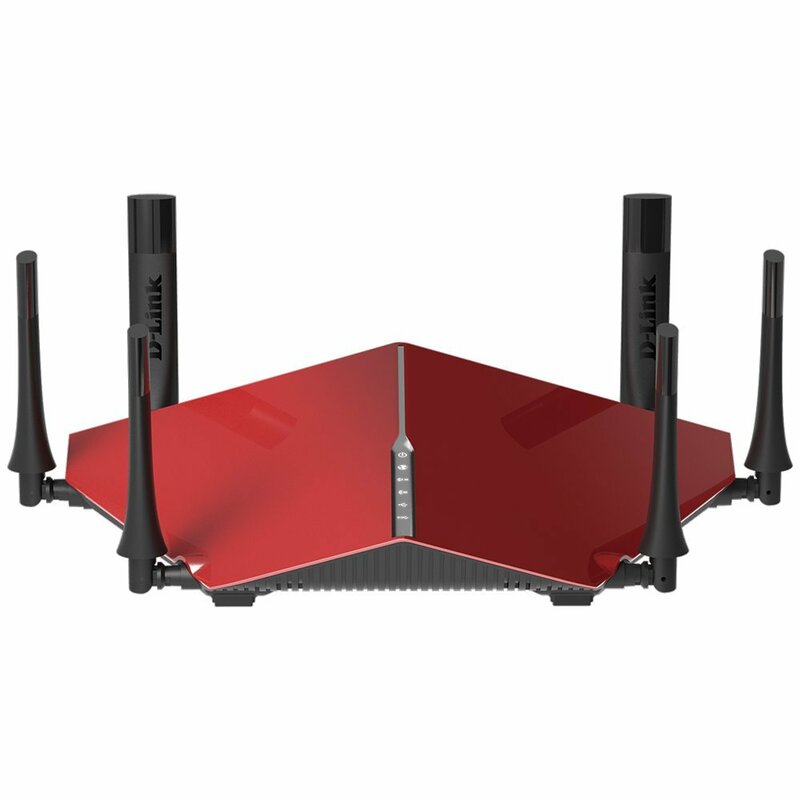 The D-Link AC3200 features 3 receiving antennas and 3 transmitting antennas for a strong signal throughout your home compared to the Asus RT-AC88U which has 4 transmitting and 4 receiving antennas for an even stronger signal. Both models benefit from having USB 2.0 and 3.0 ports. The D-Link AC3200 has 4 gigabit LAN ethernet ports compared to the Asus RT-AC88U which has 8 gigabit LAN ethernet ports and a 2 gigabit WAN port. 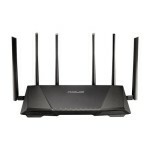 After looking in detail at the D-Link AC3200 and the Asus RT-AC88U we think the better router is the Asus RT-AC88U. Being around the same price the Asus RT-AC88U has more features and also benefits from faster speeds. The Asus RT-AC88U also has a more powerful processor and has the added benefit of advanced technology for the gamers in your household, as well as being able to maintain speeds for other users in your home.